The Playforge releases Zombie Farm Battles on App Store. 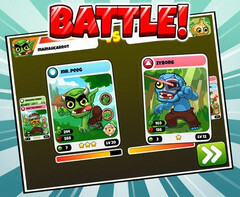 This all-new card battle game is free-to-play and optimized for iPhone 5. The Playforge released a new game from its popular Zombie Farm series, namely Zombie Farm Battles. 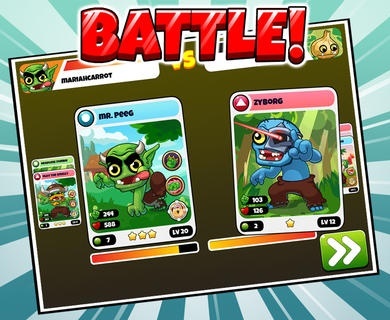 In this card battle title, zombies must battle to free their world from the invading humans. According to Jack Sorensen, President of The Playforge, "Zombie Farm Battles allows for a deeper fan engagement with endless hours of battles with new characters, challenges and prizes. We expect Zombie Farm Battles will appeal to Zombie Farm enthusiasts and also expand to new gamers who are fans of the challenging combat action." Zombie Farm Battles is available in English, Chinese, Dutch, French, German, Italian, Japanese and Korean. It requires iOS 5.0 or later and is free to play but various items, such as "Bag of Brains" or "Sack of Brains" can be purchased for prices up to $24.99 (Box of Brains). For more information, please see the press release below.